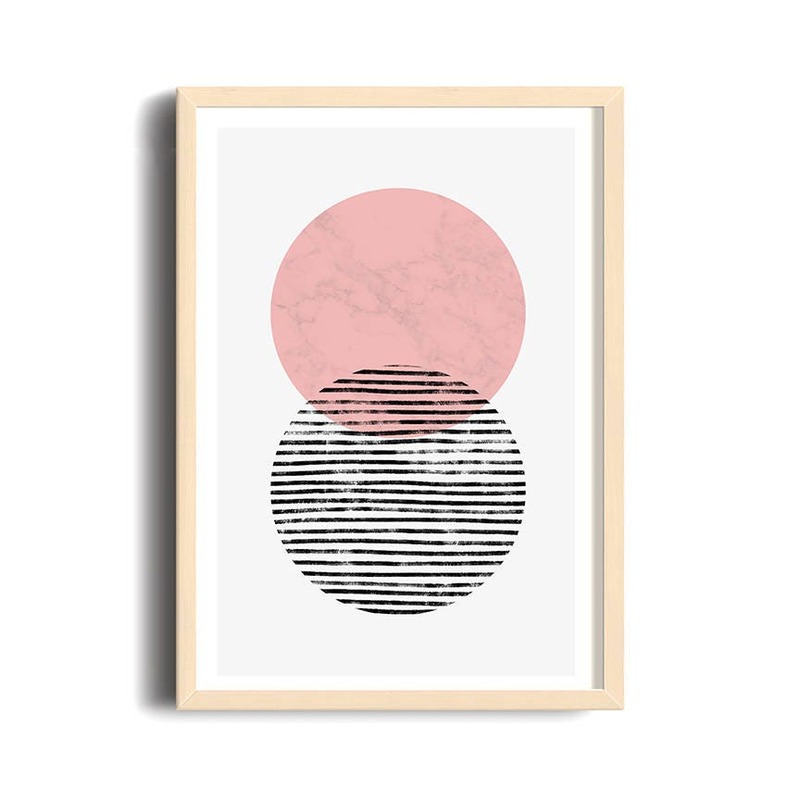 Minimalist poster, art abstract, geometric shapes, circles, Nordic design, Scandinavian design, vintage style, pink and black. 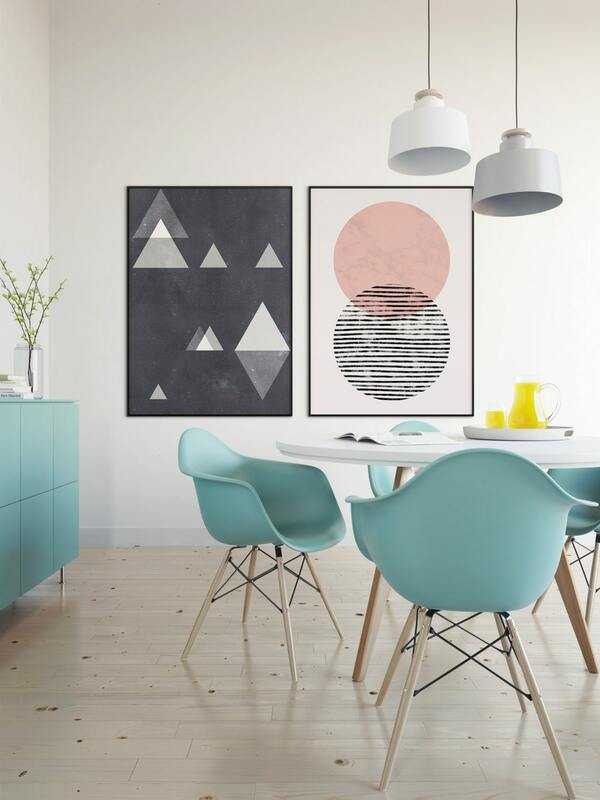 Beautiful poster of mid century style with geometric shapes in medium format, 12X18 inches, with white borders. 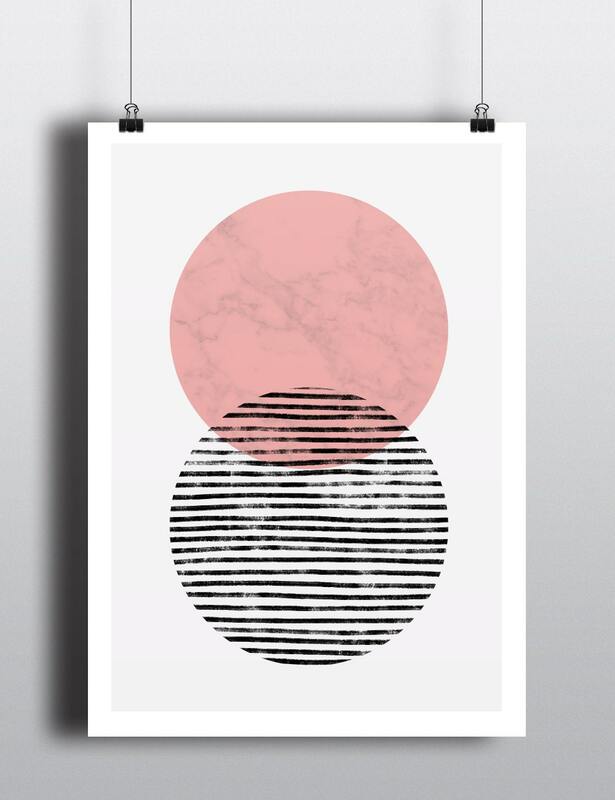 Printing on matte paper 200m.